Do you like Princesses BFFs Night? Share it with your friends. 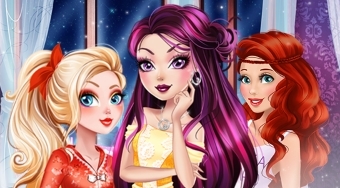 Princesses BFFs Night - have a lot of fun together with popular characters Raven Queen, Apple White and Ariel.